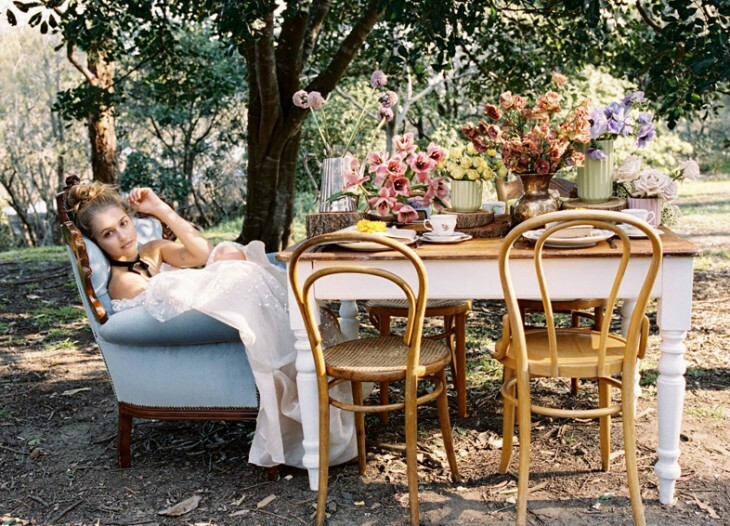 If you’re a fan of traditional with a twist, this is the shoot for you. 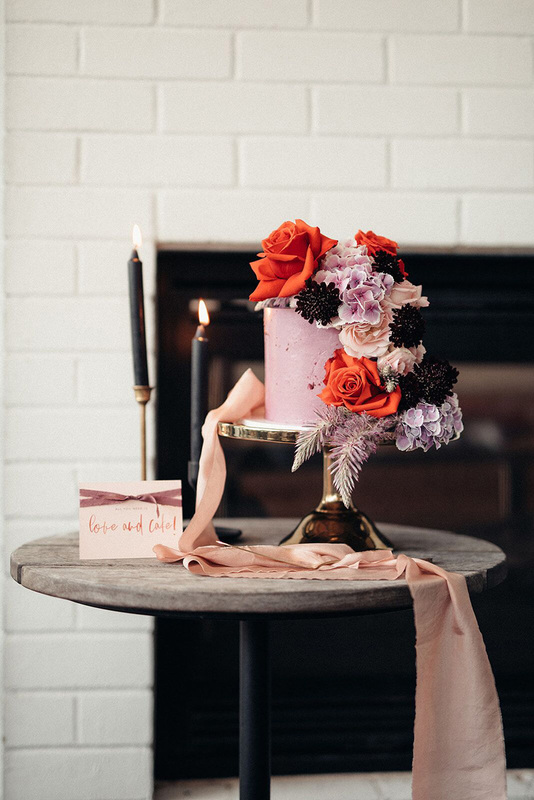 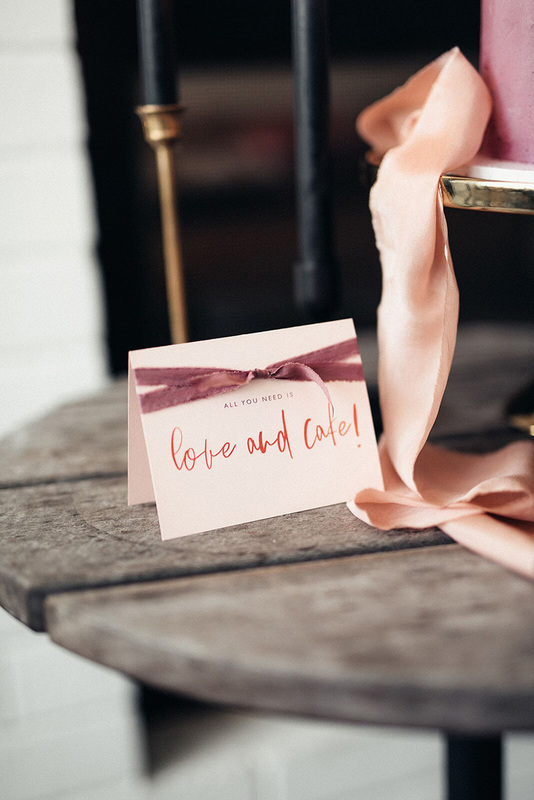 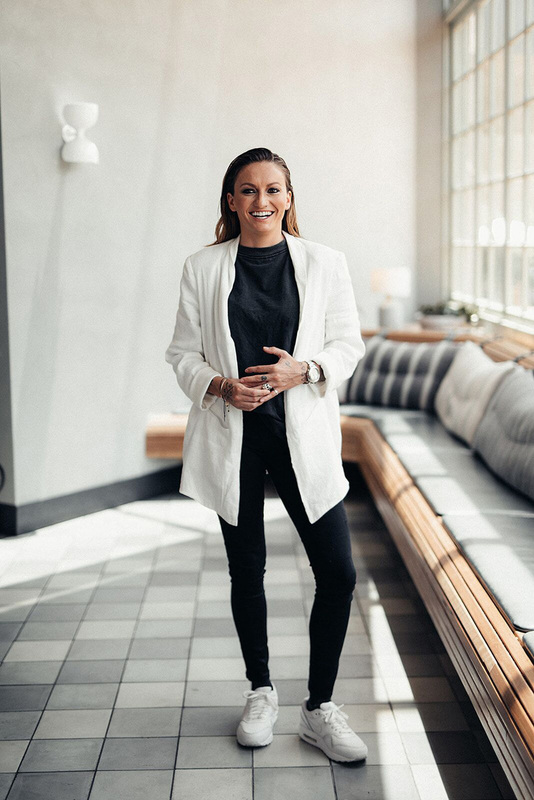 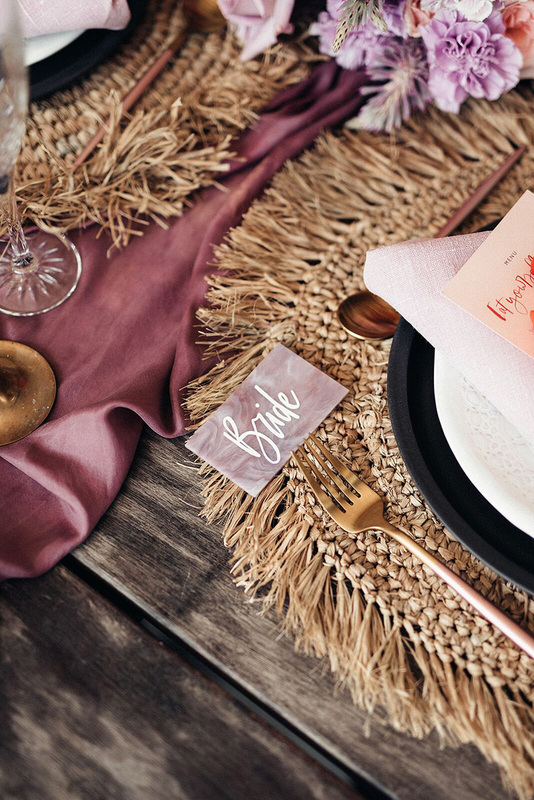 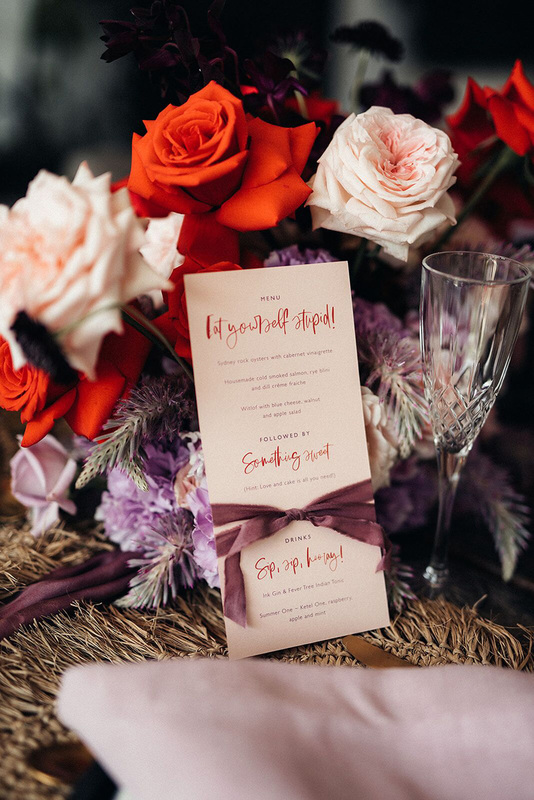 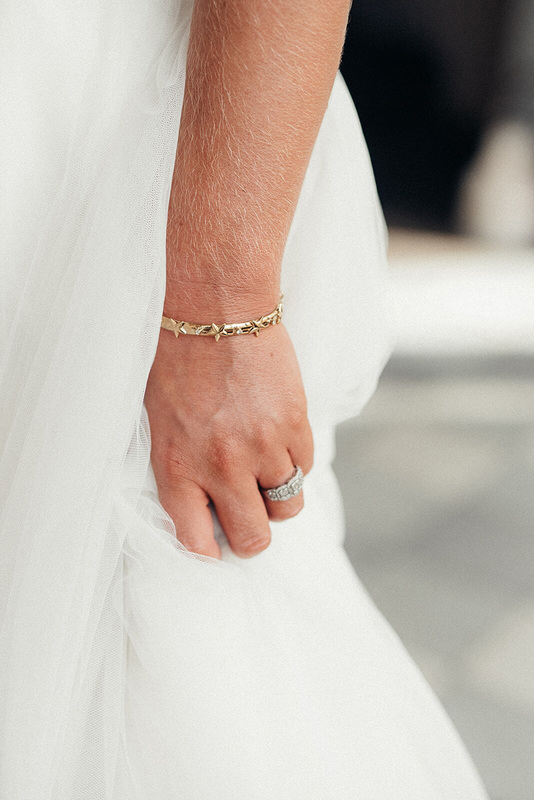 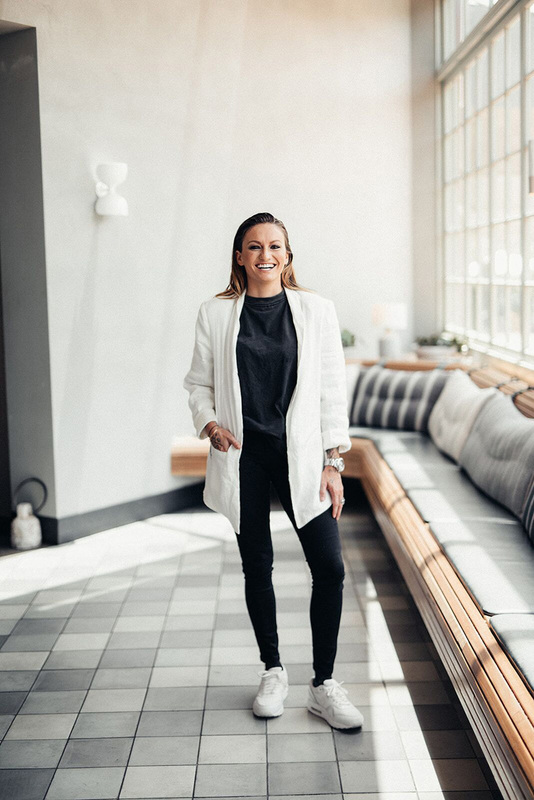 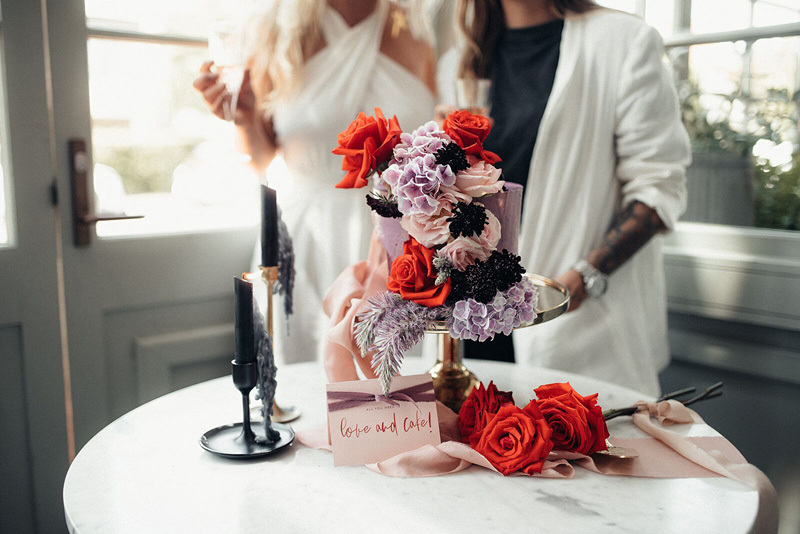 One of the main vendors behind this shoot was Kellie from The Future Mrs. Trust us when we say, she really knows how to take a classic wedding vibe and turn it into a spectacular statement. 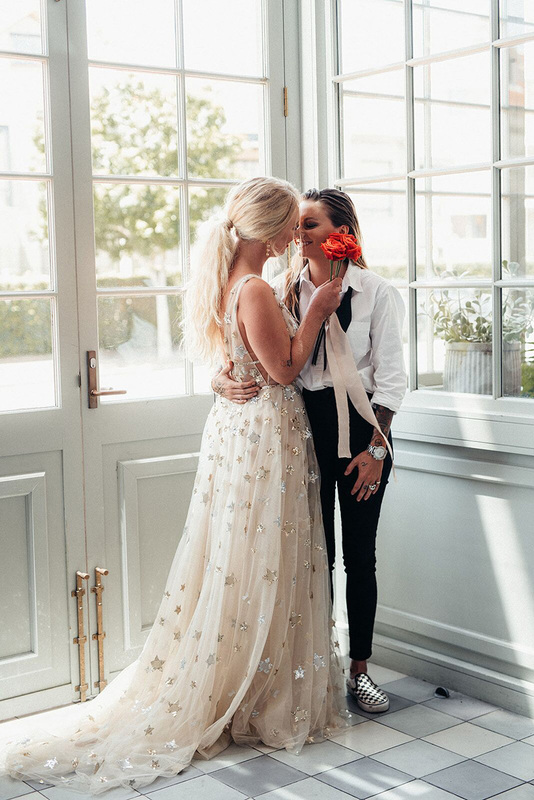 Millie wore a tulle skirt by designer Wendy Makin and button up, whilst Jessi wore an untied bowtie, a blazer from Unik Space and chequered shoes—both unique and fitting for their own chic style. 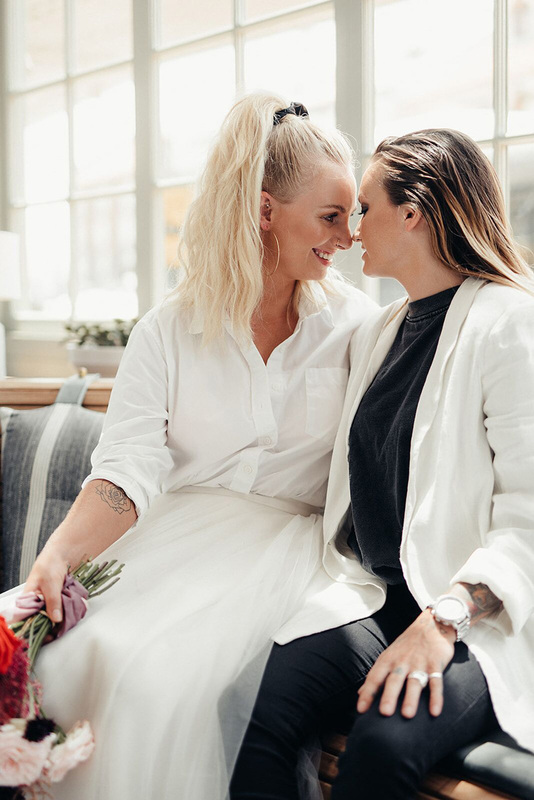 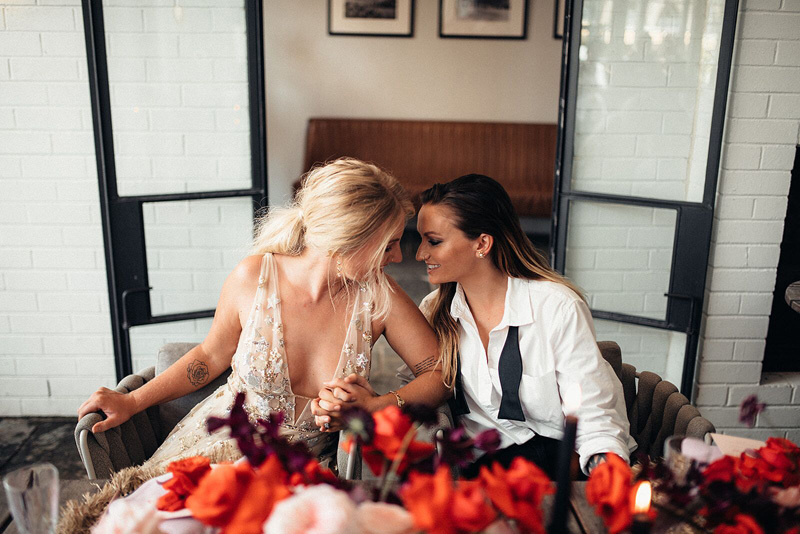 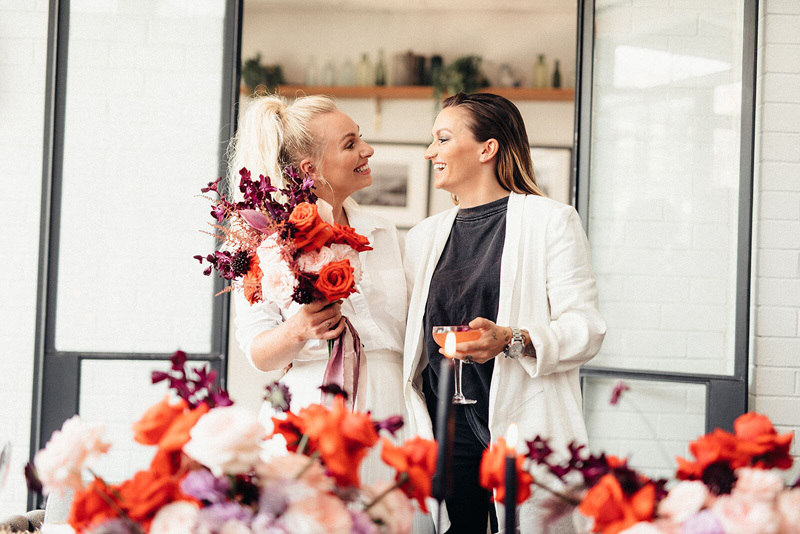 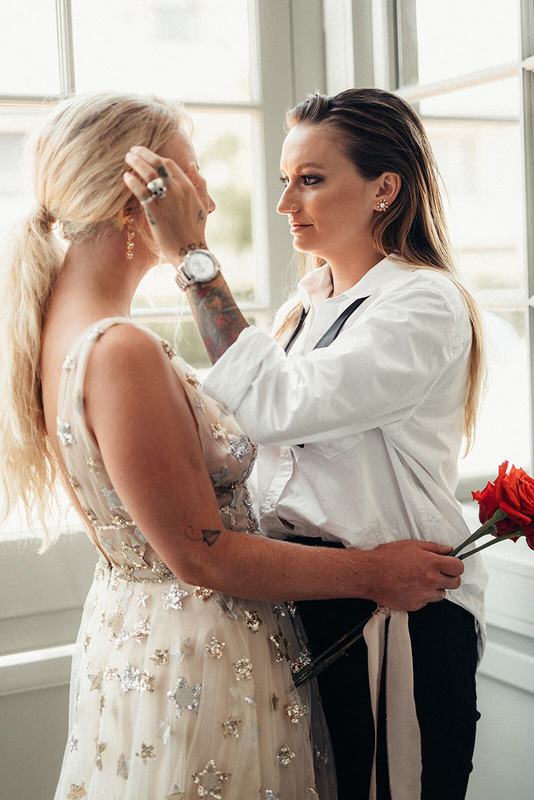 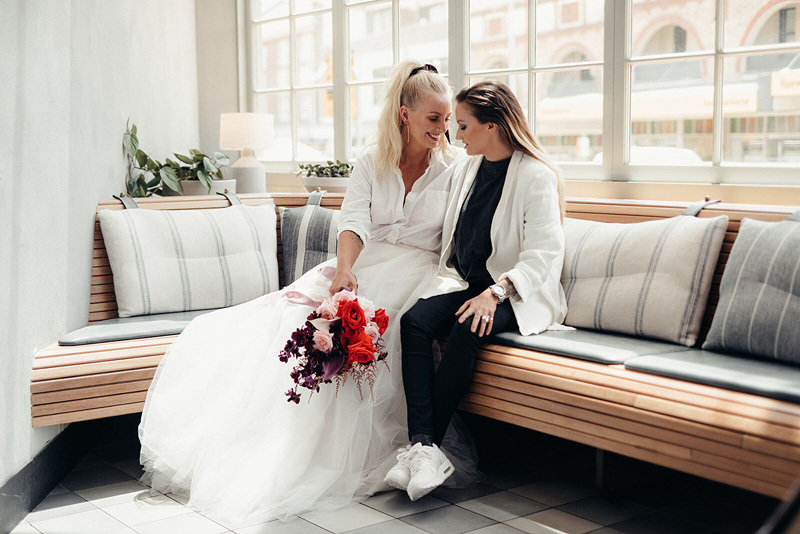 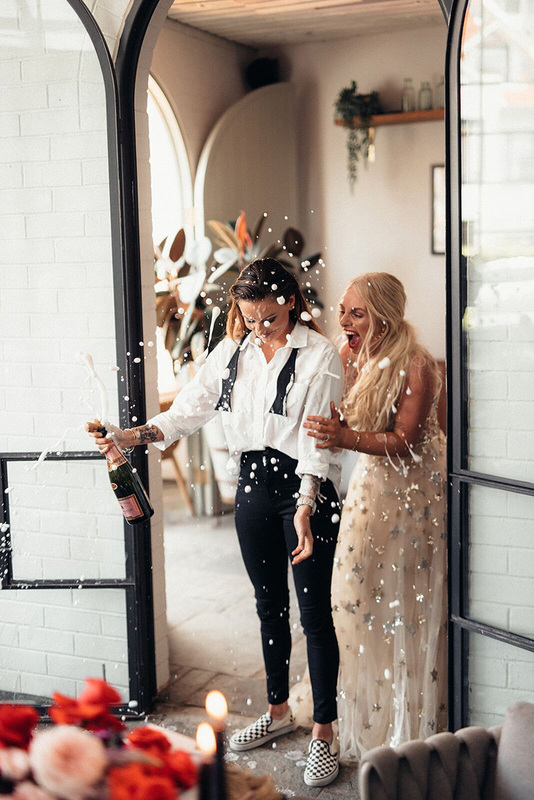 When you see just how much Jessi and Millie brought their love and laughter into this editorial, you’ll understand why we’ve been obsessing over it. 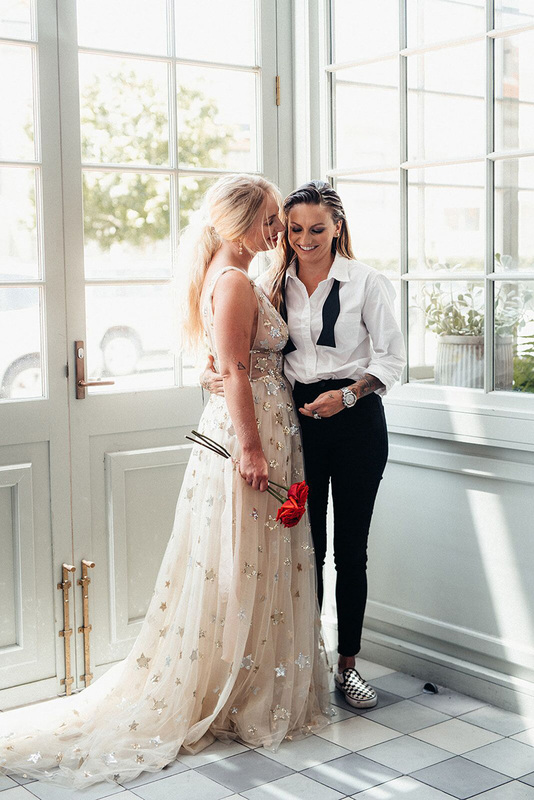 They make for the ultimate power couple. 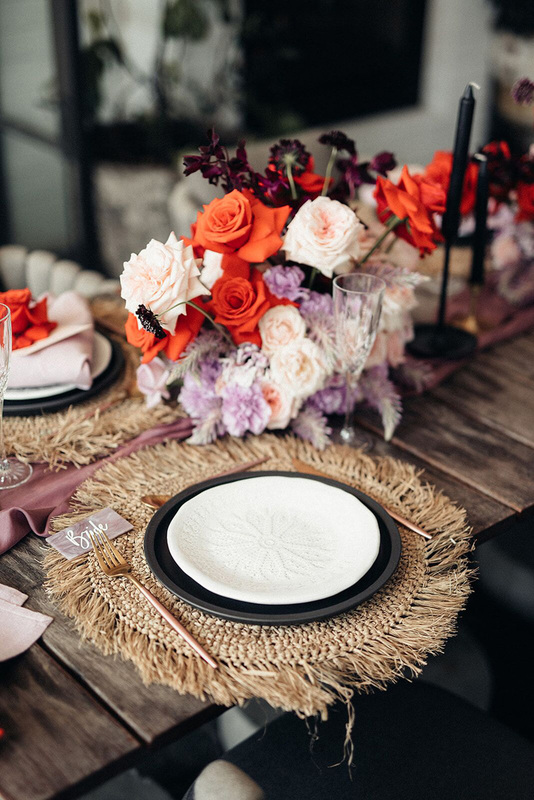 As for the décor, not a detail was missed. 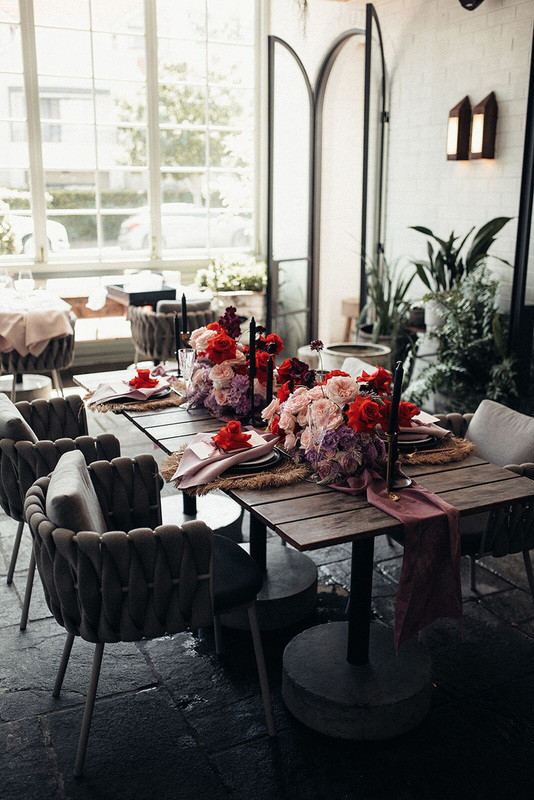 The shoot took place at the Bistro Mosman in Sydney. 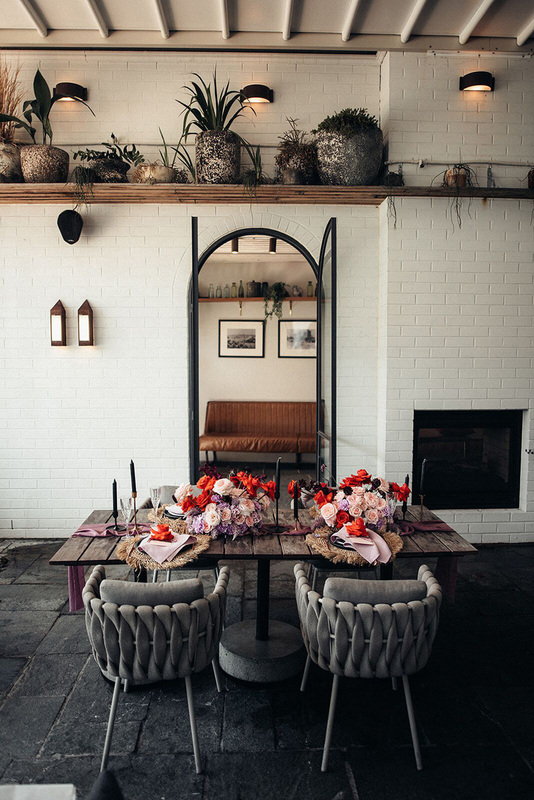 This light-filled venue features French furnishings and archway doors; the perfect backdrop for a chic rendezvous. 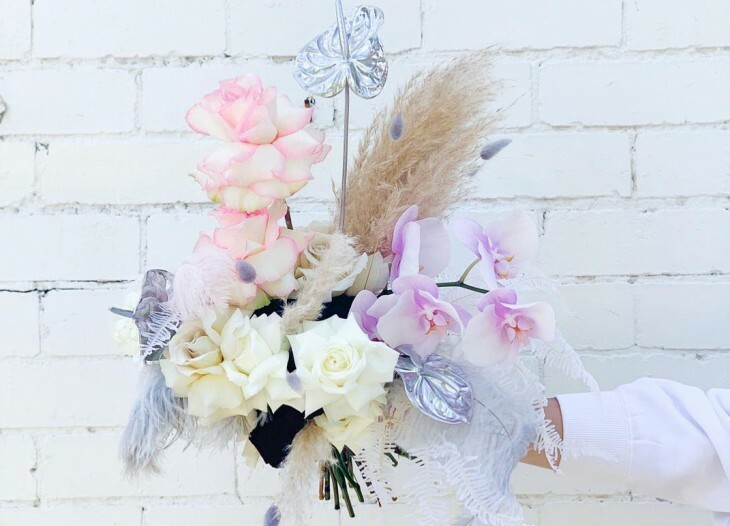 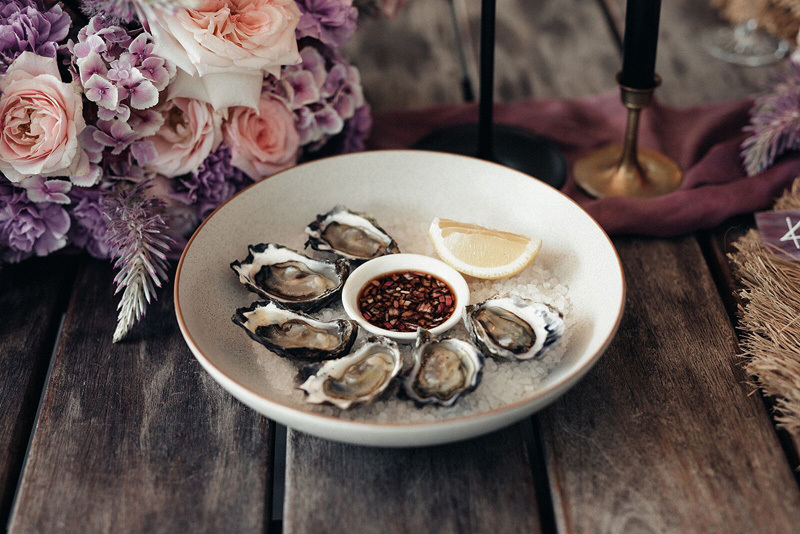 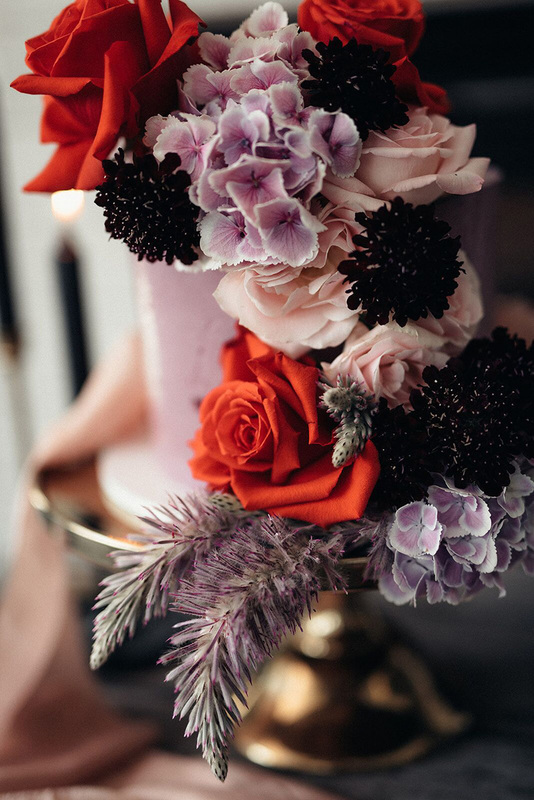 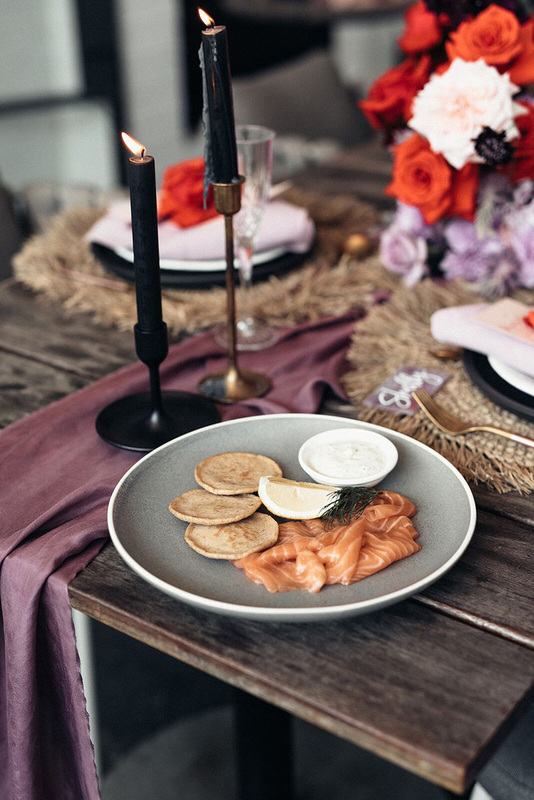 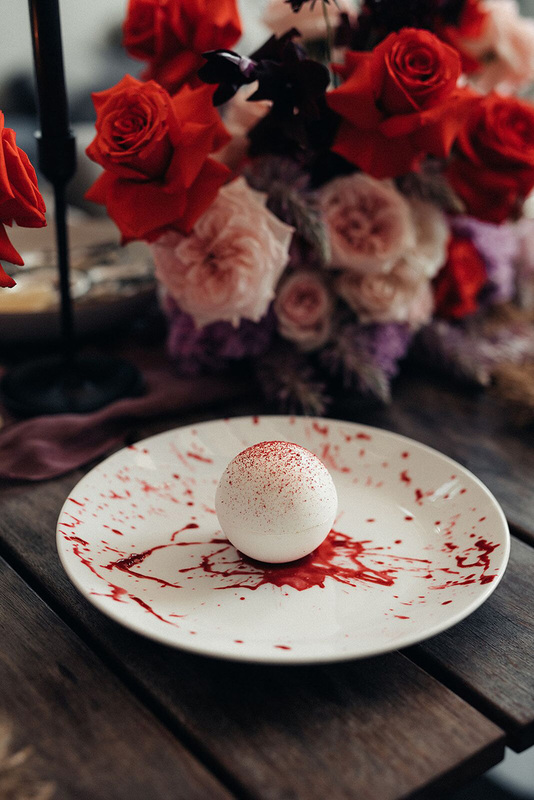 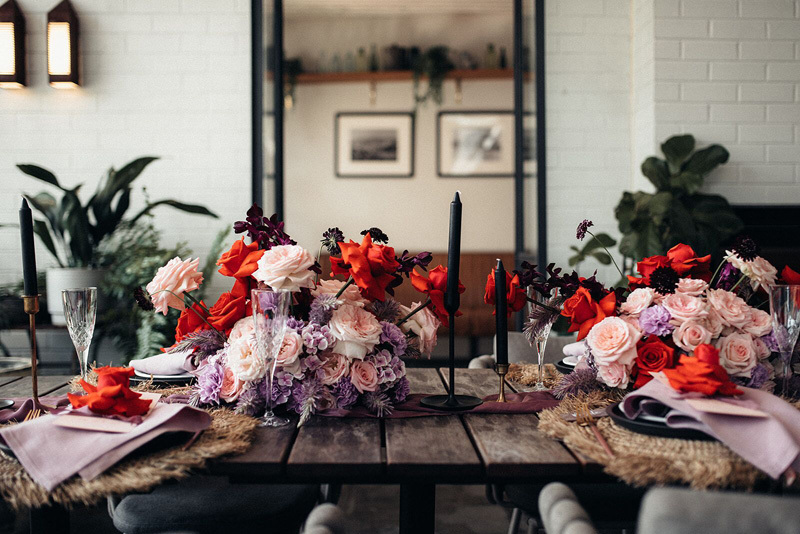 If you are looking for some stunning table setting inspo, just wait until you see the magic The Style Maison created. 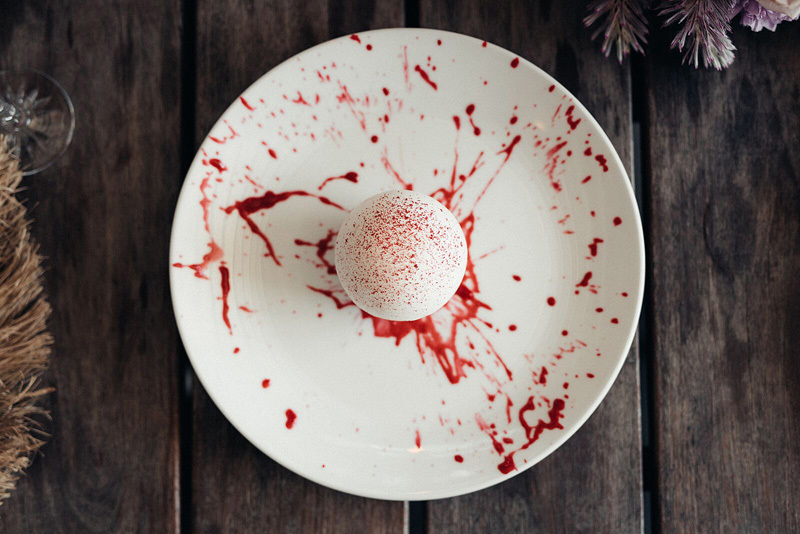 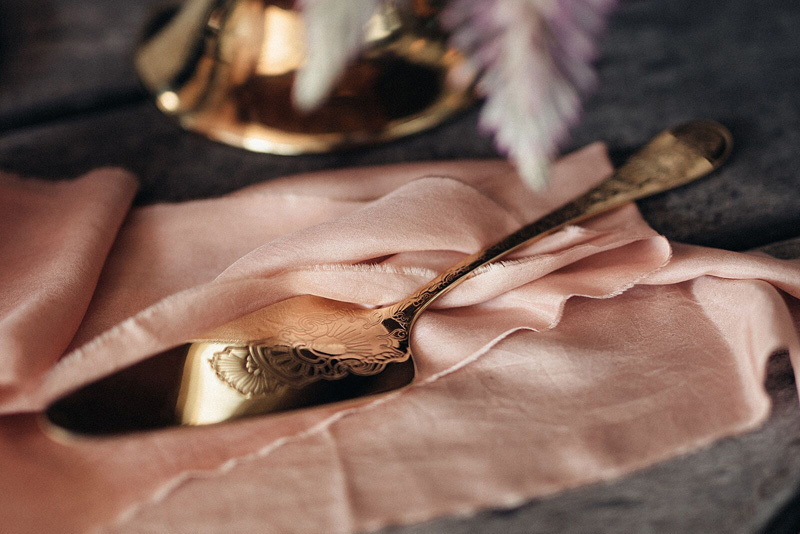 Think: embossed plates, rose gold cutlery, beautiful calligraphy and plant dyed silk ribbons by The Paper Botanist. 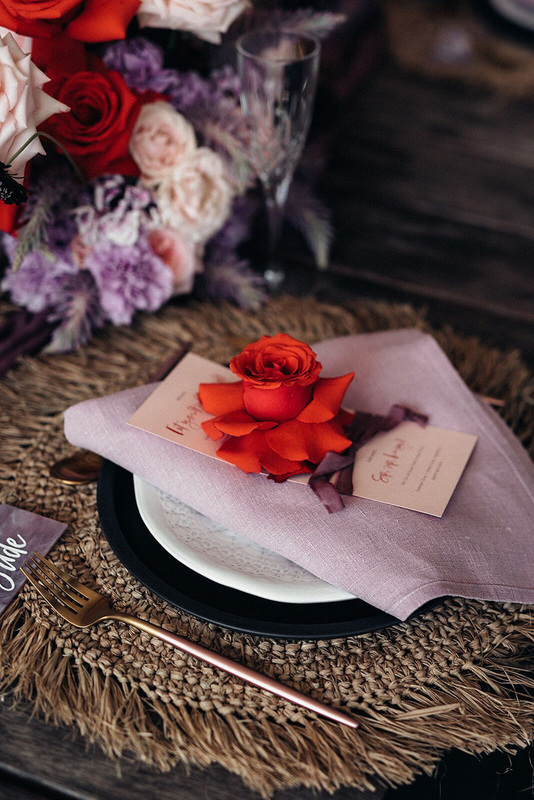 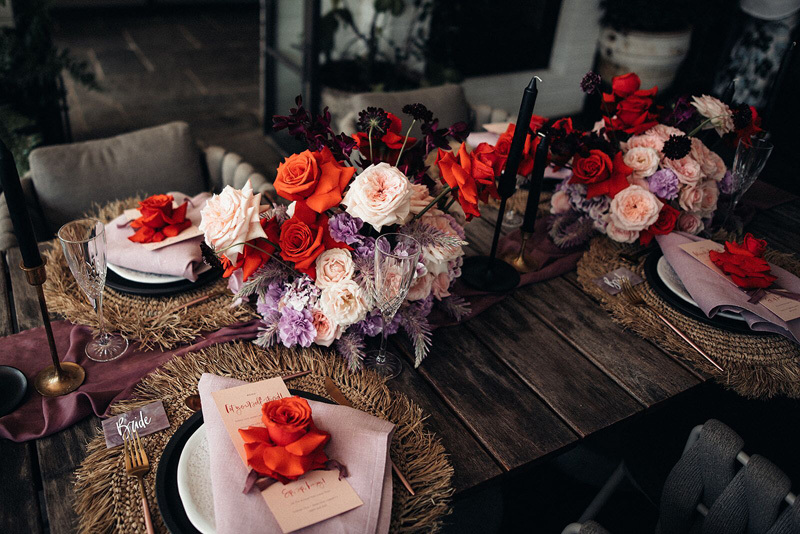 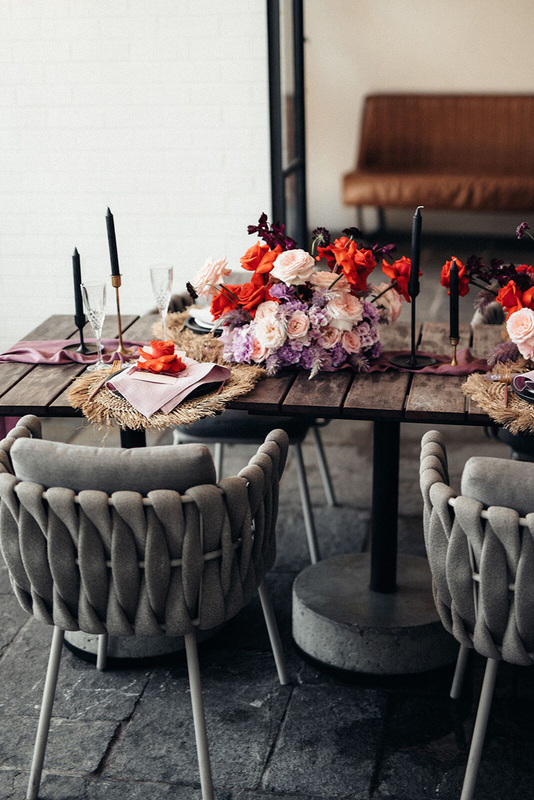 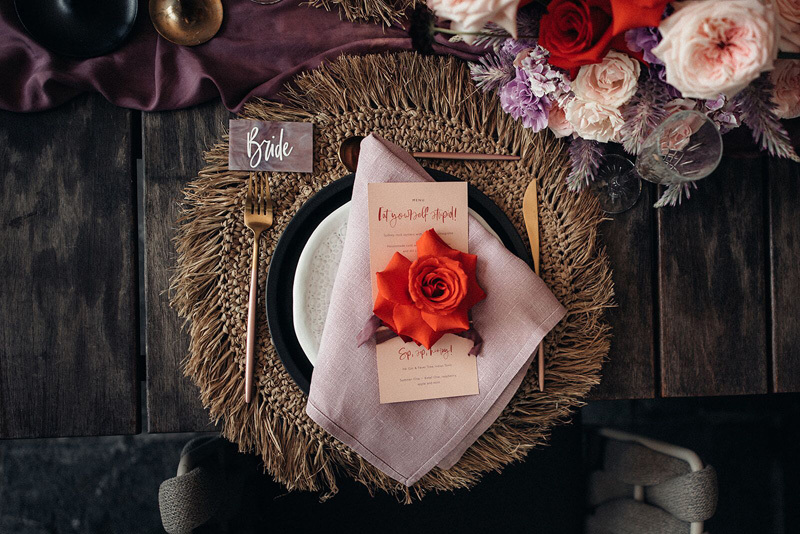 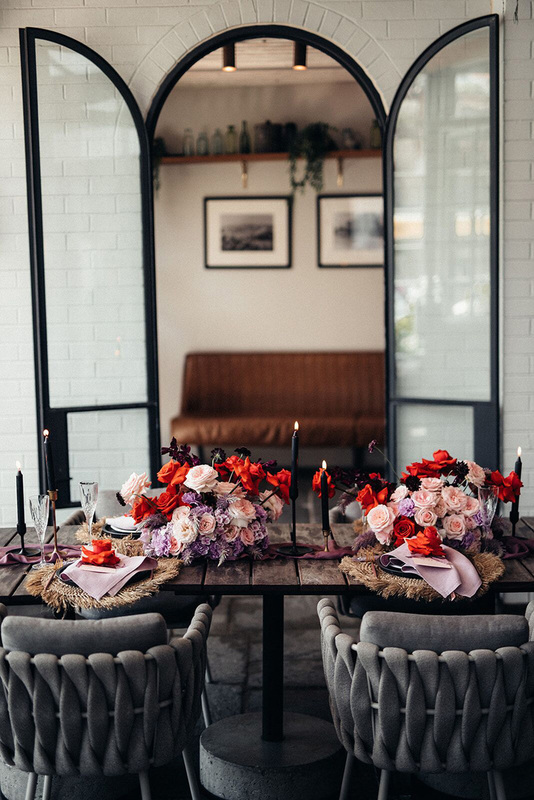 This tablescape incorporates a rich colour palette of scarlet red and lilac hues mixed with a touch of wine and amethyst tones. 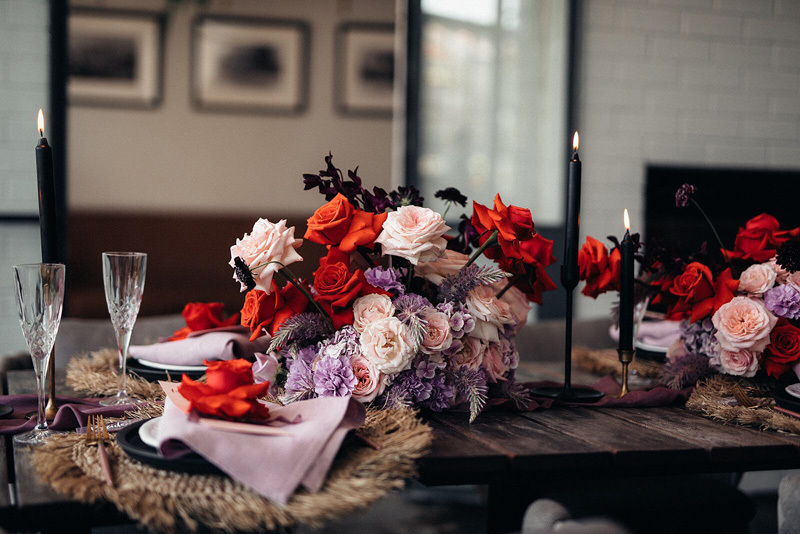 Tess sourced locally grown roses, scabiosas, hydrangeas and carnations, which provided a focal point floating at the centre of the table. 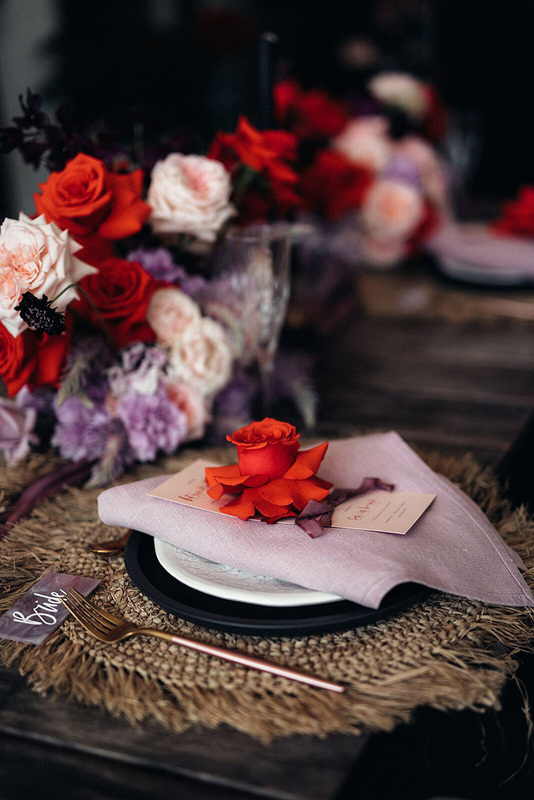 For that added hint of luxe and romance, black taper candles were burning and personalised marble glass tile tags sat at each setting. 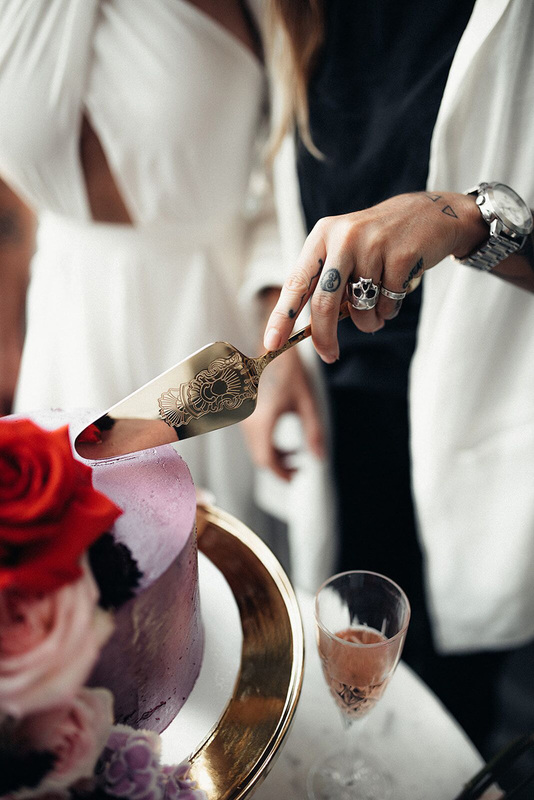 A large single rose head made the perfect finishing touch. 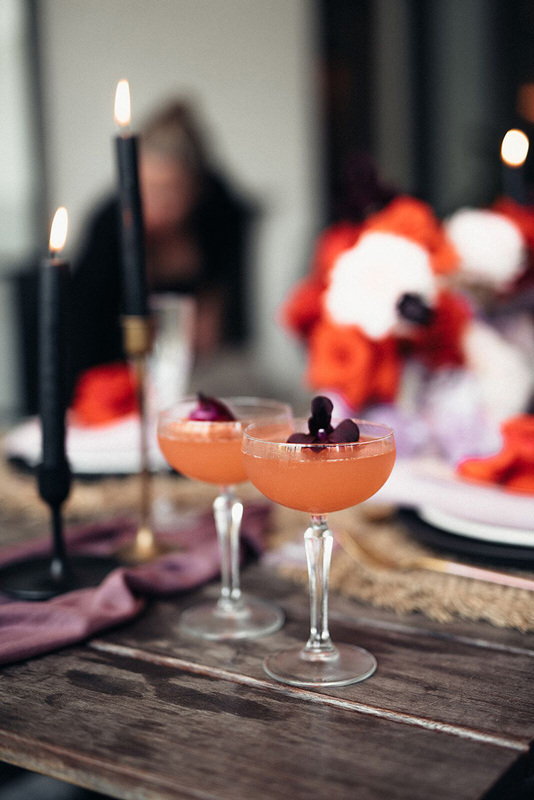 Are you thinking what we’re thinking? 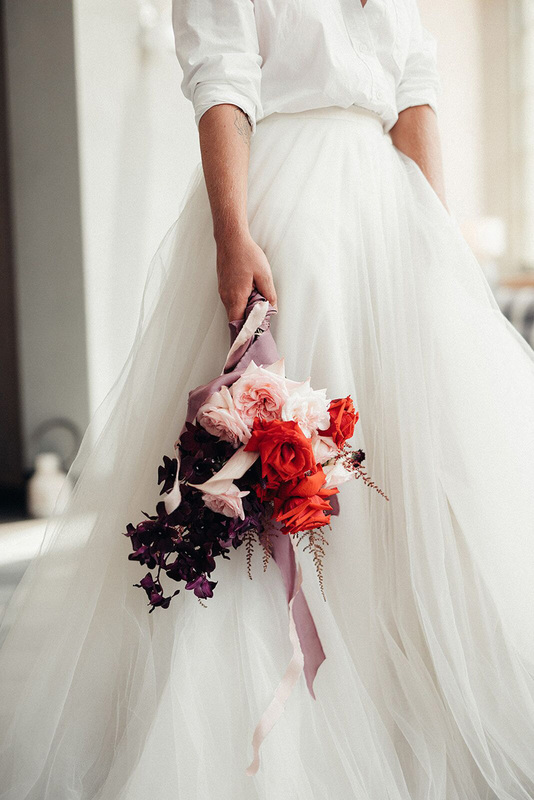 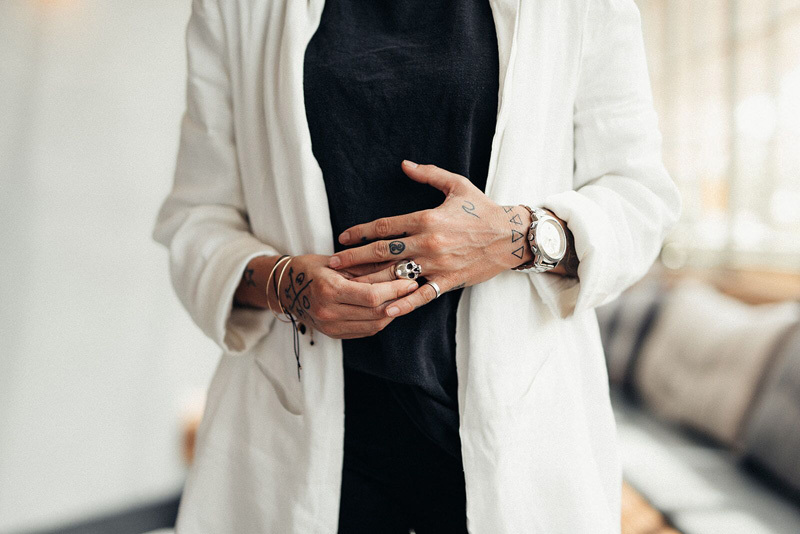 It’s definitely time to get those Pinterest boards out and look through these amazing images. 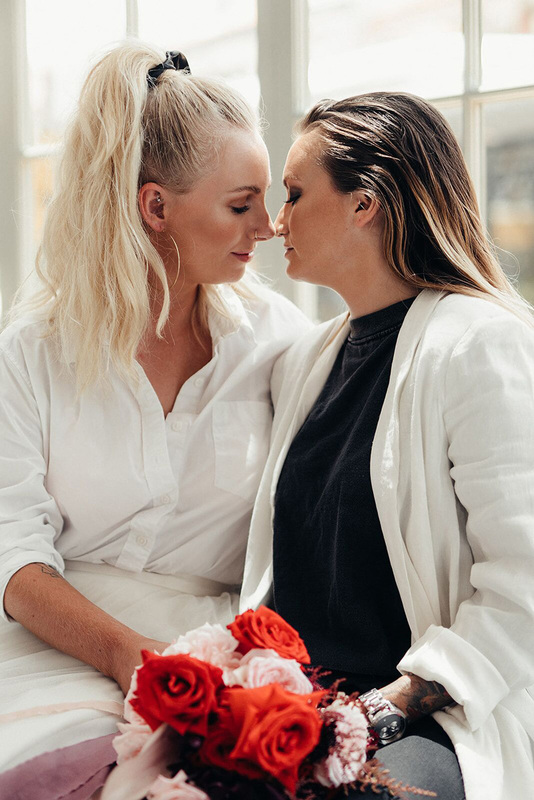 Prepare for your heart to be very warmed!